As the importance of taking up an active lifestyle has become more apparent in recent years, interest in active vacations has increased. While many activities available in holiday destinations can be costly, such as skiing in winter, golfing in summer, or SCUBA diving in tropical locales year round, the easiest and most fulfilling activity of all costs next to nothing: walking. By going along at your own pace, you get your body in motion while picking up on details in your surroundings more easily than if you were speeding along in a tour bus, or on a bike. All over the world, there are many ideal locations where one can go on walking holidays that will fill them with awe and wonder. Set before a pristine lake and backed by the towering Austrian Alps, Pertisau in Austria stands as one of the best places in the world to get your walk on. Here, you’ll be walking in the former footsteps of aristocrats, kings, and emperors, who favoured this location to get away from the pressures of their responsibilities. Strolling through the alpine fields suspended high above the tour boats of Lake Achensee, you will feel a sense of peace that one simply can’t find in the mundane residential developments back home! Situated high in the foothills of the Himalayas, Binsar Wildlife Sanctuary is a world away from the noise, pollution and chaos of urban India. This special place will allow you to spot many species of plants and animals that call this protected area their home, such as rhododendrons and leopards. Additionally, the locals that live here lead a way of life completely different from their city brethren, giving an opportunity for a unique cultural exchange that are increasingly tough to come by these days. 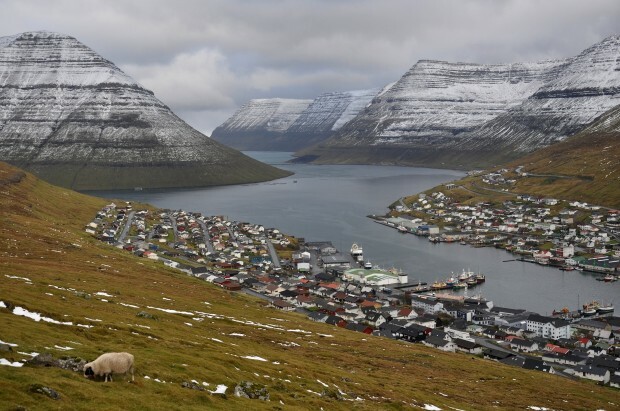 Sitting in the midst of the North Atlantic Ocean between Scotland and Iceland, the Faroe Islands are a hauntingly beautiful fortress of solitude that you will remember long after you have been here. Walking along the tracks of the sparsely inhabited countryside here will lead to many encounter with sheep, as well as waterfalls, cliffs, dramatic coves, and lighthouses. Just be sure to pack a sweater, as conditions are cool even during the peak of the summer (the average temperature is just 11 degrees Celsius at that time). From walking amongst the lively bazaars of the capital Marrakesh, to the refreshing coolness of the High Atlas Mountains (the roof of North Africa), a walking holiday in Morocco is an experience in exoticism and high country hiking all rolled into one. Bear witness to the immaculate hospitality of the Berbers, then take of their guides into the heart of Morocco’s surprising green heart, as the highest mountains in Africa outside of Kilimanjaro trap moisture from the dry air, creating rain and life where you might not expect it. Boasting exquisite views along the coast and up in the Trodos Mountains, Cyprus has much to offer the active traveler. Many tracks along the effervescent shore are delightfully unspoiled, with many private beaches begging to be discovered. In the interior, the Trodos Mountains are filled with the scent of pine and festooned with many gorgeous wildflowers on its slopes, and they offer a cooler alternative to the lowlands during the peak summer months. Overall, many nations across the world offer ample opportunity to get away from the bustle of the big city and to reconnect with nature. All you have to do is make for the nearest nature preserve, mountain range or coastline, and explore around … you’ll be surprised with what you might find! Morocco is a wonderful country that you could easily spend a few weeks exploring and still fail to fit everything in, so how is it best to plan a short break to the nation? The key thing is to see both sides of Morocco – its amazing culture and outstanding natural beauty. Of course, if you’re short on time you will necessarily have to narrow down where you visit and what you see, but that doesn’t mean you can’t have an incredibly rich and fulfilling experience. Firstly, if you’re on a tight time frame then you need to plan properly to make sure you fit everything in. A good way to ensure your holiday to Morocco covers a range of attractions is to go on an organised tour. Short itineraries will usually give you a taste of city life before whisking you away to the High Atlas Mountains to experience their rugged beauty. Secondly, don’t try to fill your days with too many activities – you won’t end up enjoying the things you see and do if you have to rush from one place to the next. Slow down, take your time and plan to come back if there’s a lot more you want to see. Here’s just one suggestion of how to spend your time in Morocco if you only have a few days. 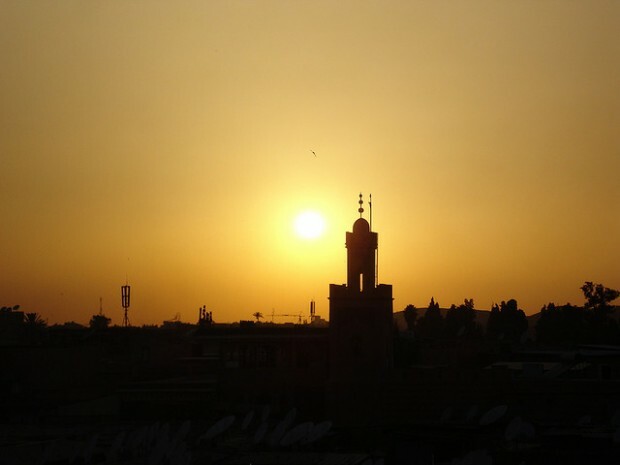 Marrakech is one of the most popular Moroccan cities for tourists to visit and with good reason. It’s packed to bursting with cultural and historical sites, all mixed in with excellent restaurants, lovely hotels and plenty of shopping opportunities. You can’t say you’ve experienced Marrakech until you’ve spent some time in the bustling Djemma El Fna square. This is the hub of the old city and is a chaotic blend of street performers putting on lively shows, food vendors selling meals that smell and taste delicious and typical cafes where you can escape from the melee and enjoy a cup of mint tea. Wander away from the main square and you’ll enter Marrakech’s maze of fantastic souks selling everything from spices to clothing. Simply soaking up the sights and sounds is the best thing to do on a visit here. After you’ve had your fill of the hustle and bustle, move on to explore a couple of the city’s other main landmarks, the Saadian Tombs, Koutoubia Mosque and Bahia Palace are all worthy of your attention. To fully appreciate Morocco’s rugged and beautiful scenery, you need to get out of the city. If you’ve started out in Marrakech one of the easiest – and most picturesque – places to get to is the High Atlas Mountains. This range is the home of Mount Toubkal and the trek to its summit is a challenge many hikers take on every year. If you’re feeling energetic, this is one of your options, as you can complete the Toubkal climb in around three days. The views of the surrounding mountains and valleys from this vantage point are stunning and en route you’ll visit traditional Berber villages where you can learn about this aspect of Morocco’s heritage. Climbing Mount Toubkal isn’t your only option if you’d like to do some walking, though, as there are numerous trails in the foothills of the High Atlas Mountains where you can stretch your legs and enjoy the scenery. It’s wonderful to experience the contrast between city life and Morocco’s natural charms.